In 1904, Jourdain (see Grattan-Guinness 1977 prologue) published two papers. The first, in January (1904), was titled “On the transfinite cardinal numbers of well-ordered aggregates”; the second, in March (1904a), was titled “On the transfinite cardinal numbers of number-classes in general”. 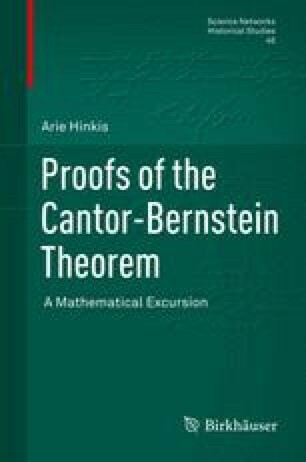 The papers are remarkable because they matched Cantor’s theory of inconsistent sets and offered a general construction of Cantor’s scale of number-classes, both unpublished at the time (see ‎ Chap. 4).